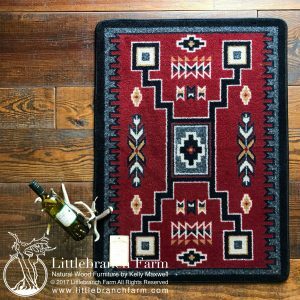 Fine area rug by American Dakota and Native American artist Rande Cook. 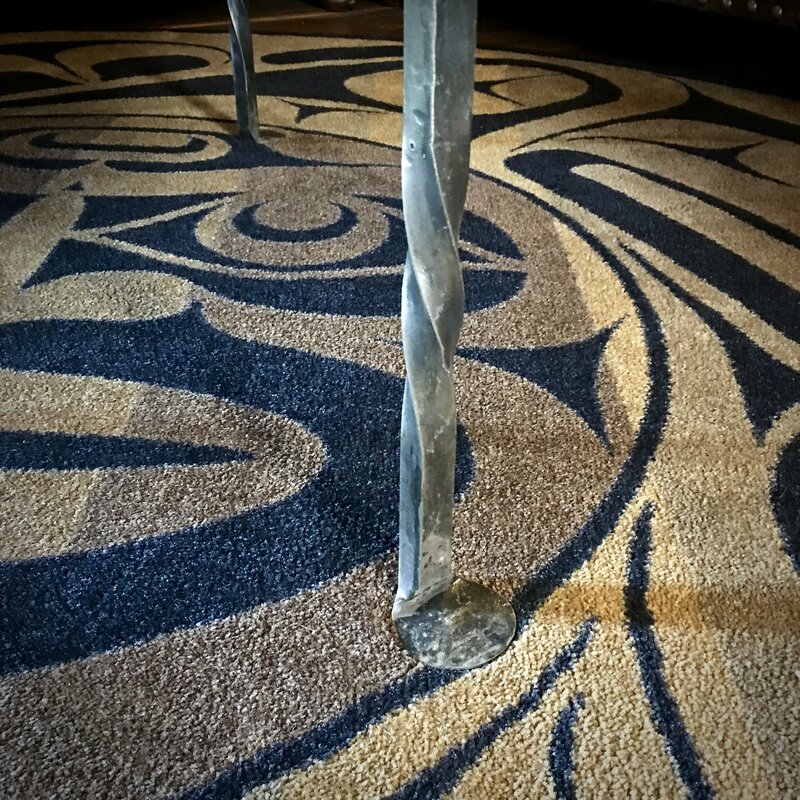 The rug is 8ft round. 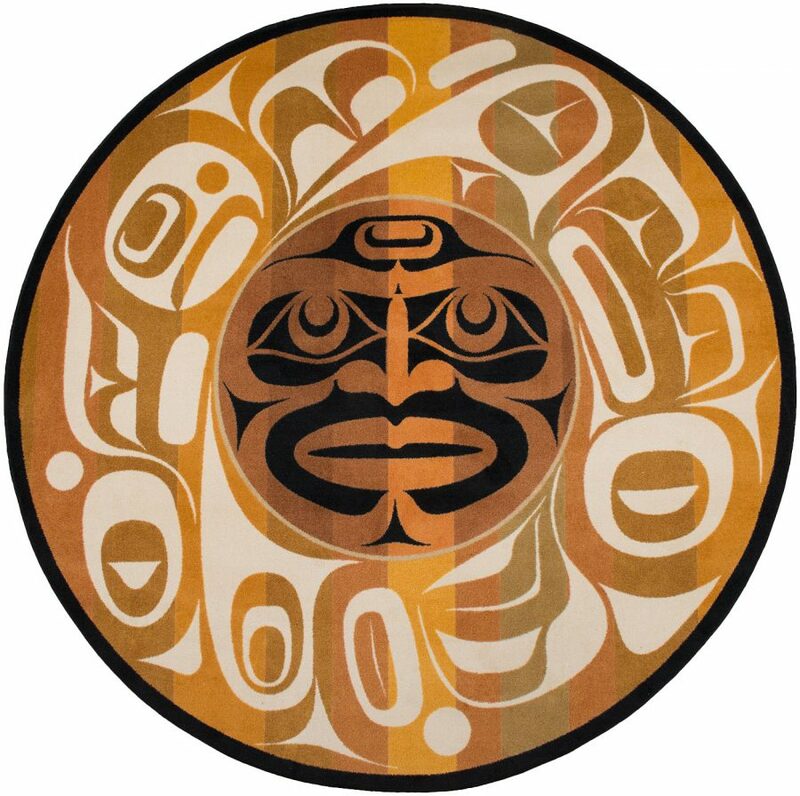 Rande Cook Moon Mask rug is another unique design by the artist for American Dakota. The collaboration brings you gallery-worthy rugs. Check his other patterns on this website. 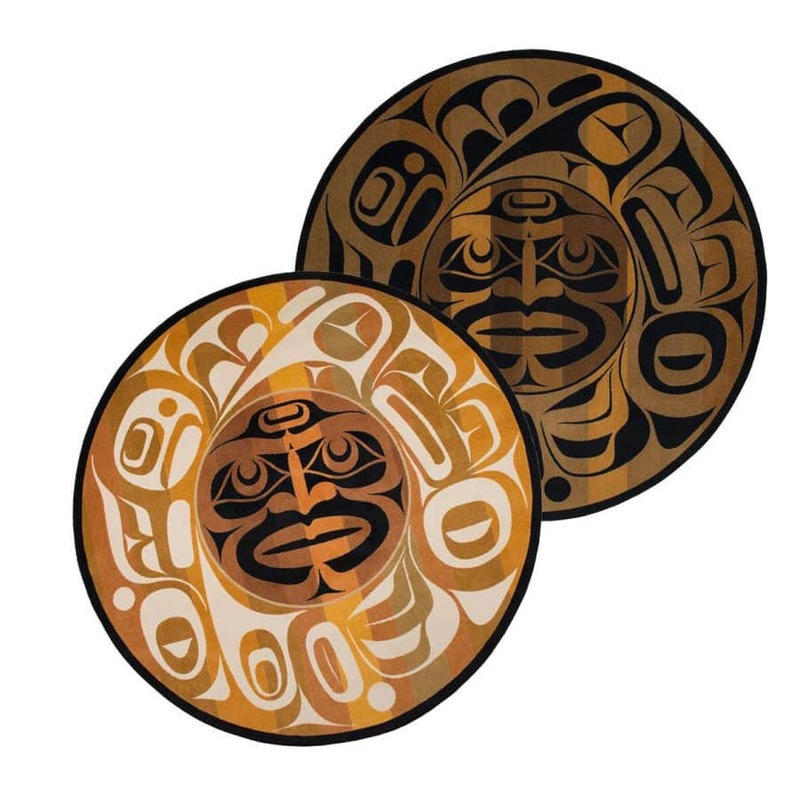 Rande Cook is not only a talented artist but he is also a First Nations Chief. 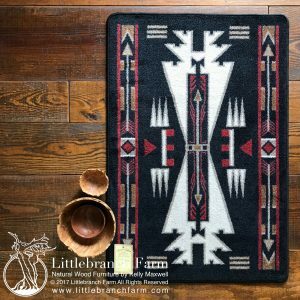 This specific rug is based on ceremonial masks. 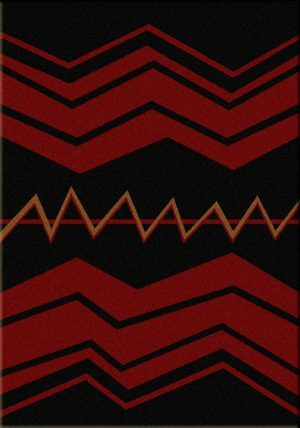 Moon Mask is a bold print that has a modern feel. 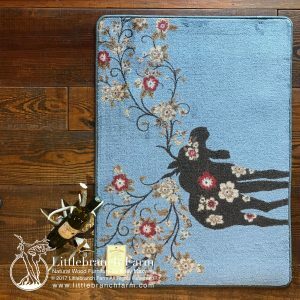 The rug is available in either natural or dark, both options are neutrals and will easily fit in your existing decor. 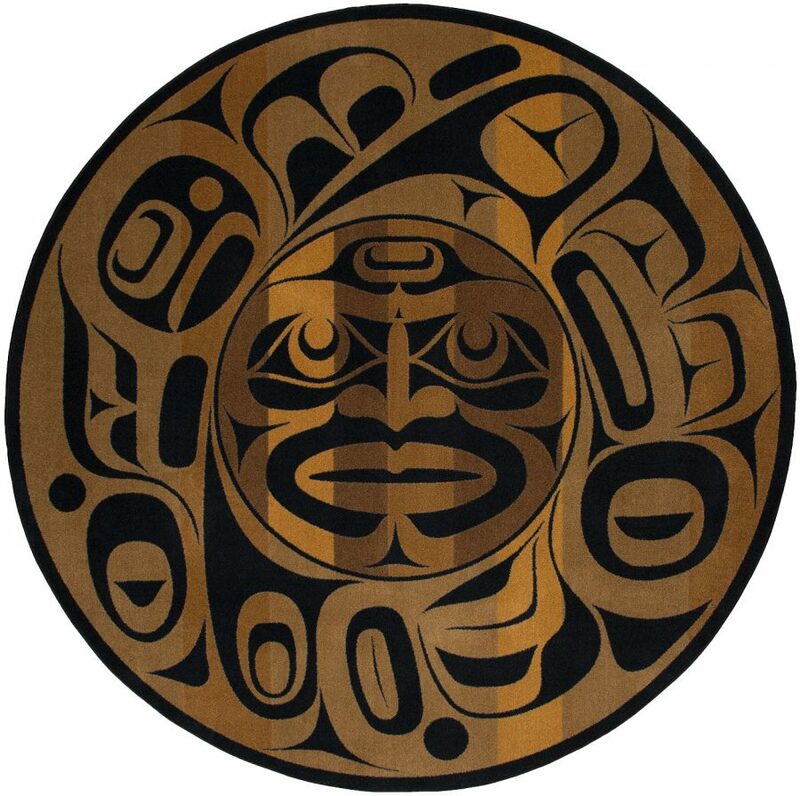 Round rugs also create strong focal points, especially if used in contrast with natural wood furniture. 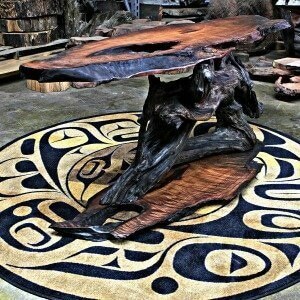 Such as a natural wood coffee table or rustic dining table made from live edge wood slabs.